The Akai MPX16 is an advanced sample player with onboard sampling. The portable DJ sampler allows the recording and playback of. WAV sounds on SD card. Similar to the successful MPX8, samples are triggered internally via pads in the MPC style or via an external MIDI device with USB MIDI and 3.5 mm MIDI inputs. 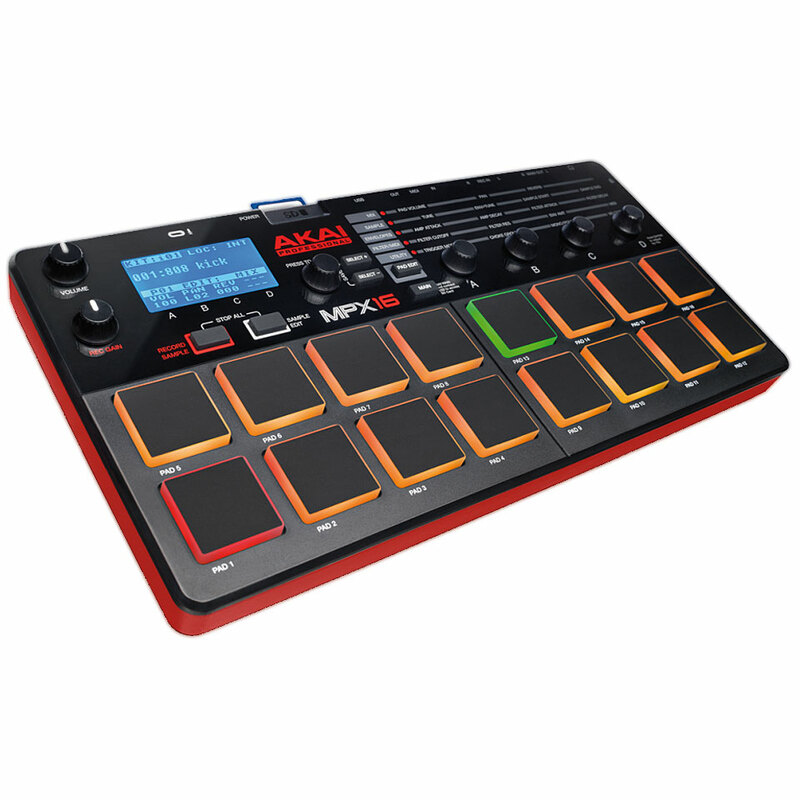 In addition, the Akai MPX16 also functions as a MIDI pad controller, with which clips can be started or added to trigger pads. Samples are recorded in CD quality via the dual 6.3 mm inputs or via the integrated stereo microphone and stored on an SD card. The user can assign audio clips to the pads and edit them with tune, filter, envelope, and choke groups. An LCD screen and illuminated trigger pads provide visual feedback. The voltage supply can either be via USB or via the included power supply. Of course, already existing sounds can be loaded onto the SD card. If necessary, the MPX16 can also be used simply as SD card reader, a software for a better file management is available as a free download. This item was given an average rating of 4.3 out of 5 stars. 1 review has been written. The comments are not the opinion of Musik Produktiv, they are the subjective opinions of our customers. 5 ratings exist without a text or these reviews are written in another language.